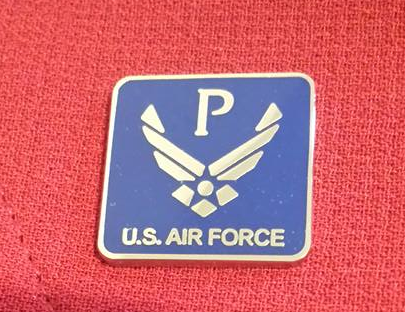 My son gave me this lapel pin when he was in boot camp. It is for parents of Air Force personnel. He’s now deployed over in the middle east charged with the duty of “creating world peace”. This emblem is more meaningful to me now than ever. He is in harm’s way like never before. I use it as a prayer reminder. Parents have no idea when their children join the military how much it may cost them. We train our children to be patriotic and love our Country, so hearing your child was killed by those who hate us, simply because he put on the uniform, is a level of pain beyond comprehension. One of my friends had a son who was killed in the line of duty in Afghanistan. 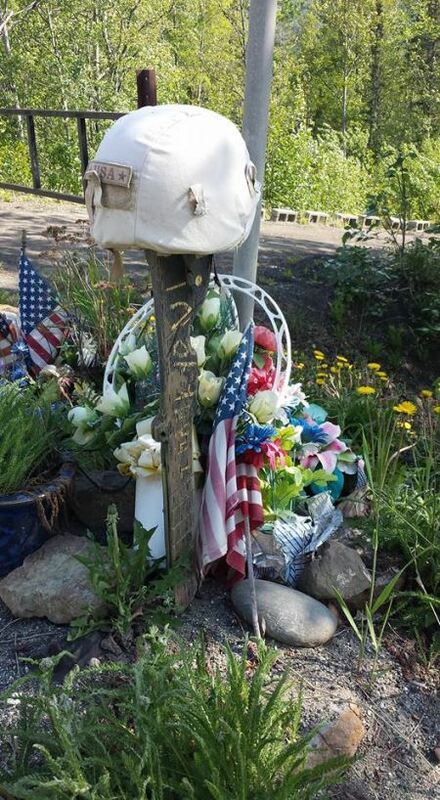 She lived in Alaska and a memorial was created in his memory. 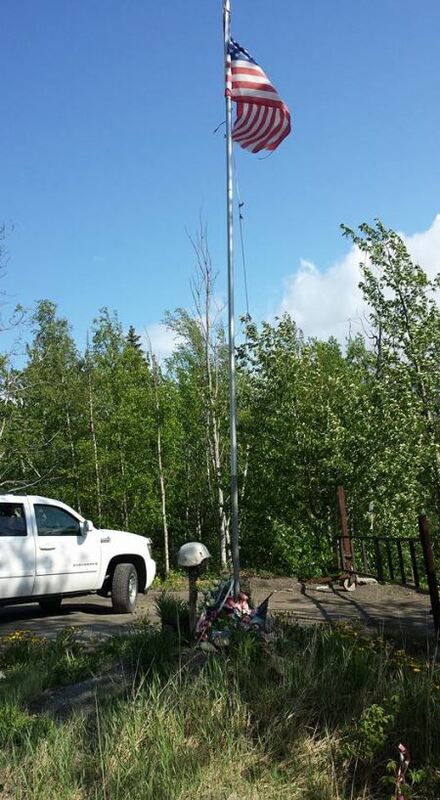 We were driving along the Glenn Highway, looking for the Matanuska Glacier, when we came across this memorial. Now you folks in Missouri who may never get to Alaska can see it too. I hope my son comes home safely, but for the sake of my Gold Star Mother friend, I want to honor her by posting these pictures. Congress is authorizing our involvement in some of the most dangerous parts of the world where we are not appreciated. Our military personnel face the threat of injury and death every day they are there. We should ask our Congress to explain why. 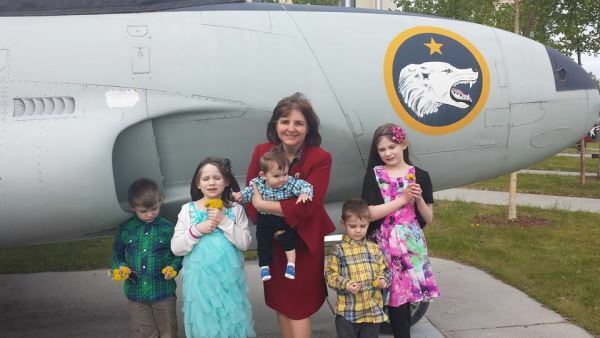 Many members of Congress, my opponent included, brag about spending our taxpayer dollars to send more of our children, spouses and friends to the most dangerous parts of the world. Yet, our Veterans’ Hospitals are an embarrassment with ridiculously long waiting lists. The mismanagement is glaring. They cannot be sincere about supporting our military when they have reduced personnel, given them antiquated equipment, cut their training, silenced our chaplains, demoralized our troops, are considering putting women in combat and renege on our commitment to take care of their medical needs with a VA system that is in shambles. It is morally wrong to change the rules under which our military committed to serve. Something’s wrong here. While some blame our problems on the misplaced priorities of Obama’s administration, yet the Republican majority Congress is enabling Obama’s bad judgement to materialize by failing to exercise better control over how our taxpayer’s dollars are allocated. If we are at peace, why are our members of the military still getting killed and why is the Congress still using taxpayers’ dollars to send more military to places where we’re not wanted in shoddy broken down equipment? Talk, especially around election time, is cheap. Regardless of the rhetoric, our military is in a worse shape than ever and our Congress should be ashamed for what they have done to destroy the most important job of our Federal Government, that is to defend us. I could point you to more information on how bad our situation is, but I don’t want to scare you or depress you. 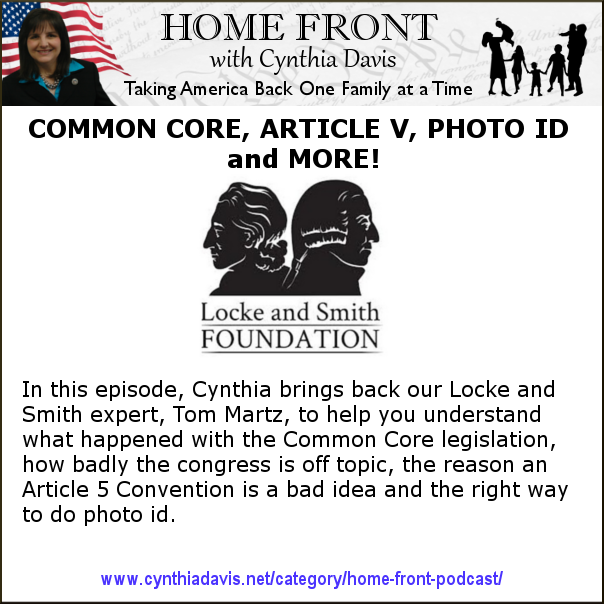 Just know that if and when I get to Congress, we will see a new tone in Washington. 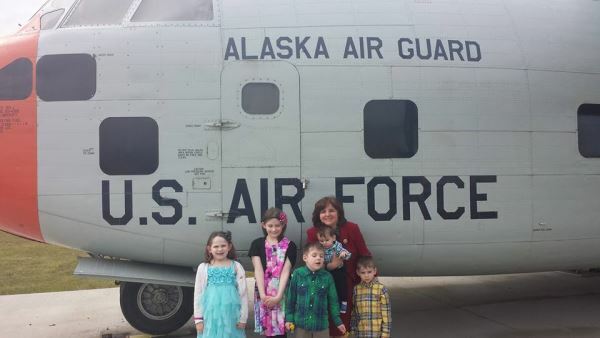 This is me with my five grandchildren in front of an Airplane at the their home station, Elmendorf Air Force Base, in Anchorage, Alaska. I went up there to help while my son is deployed. Just one more uncountable cost of our Country’s being involved in a war. My answer is to change our Congress. It’s time to send new people with a new tone to Washington D. C. 1.) 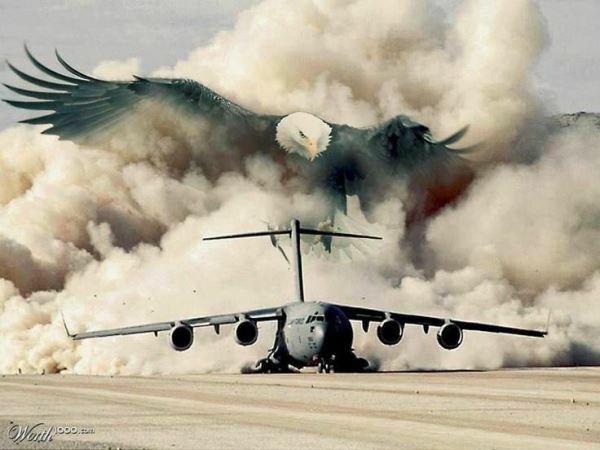 Call your members of Congress and ask them what we are doing in the Middle East. The burden is on them to demonstrate why and how they are spending our hard-earned dollars for this effort. They owe us an explanation. You may find that most of them are blindly voting for Obama’s agenda because they are fearful they will be labeled as “politically incorrect” if they don’t support the defense budget, no matter how convoluted.